Cary, NC (July 29, 2016) — When Omega Alpha Ambassador Lindsey Partridge was offered a role in the upcoming movie Unbridled, inspired by real-life events at a healing ranch for challenged teenage girls in North Carolina, Omega Alpha Pharmaceuticals was eager to show its support. The Canada-based producer of equine health products and supplements regularly assists the equestrian community through its sponsorship of elite horse shows and top equestrian professionals like Partridge, and was excited for this unique opportunity to appear in a movie while also raising awareness for a deserving cause. Omega Alpha donated $2,500 to the funding of the film, which is centered on the miraculous healing power of equine-assisted therapy. The movie is eagerly anticipated among a variety of audiences in the faith, equine, and anti-human trafficking communities as it approaches its release this fall. Omega Alpha is proud to have played a role in the funding of Unbridled and looks forward to being a part of Partridge’s continued success. 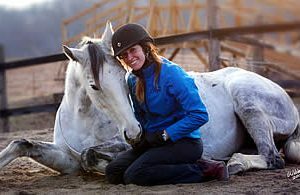 With more than twenty years of experience in developing natural equine supplements through research-based science, the company offers a wide range of award-winning products including formulas to support respiration, digestion, joint health, hormonal balance, immune health, detoxification, muscle rehabilitation, endurance, and performance. To learn more about Omega Alpha’s range of quality health products, visit www.OmegaAlpha.ca or call 1-800-651-3172.